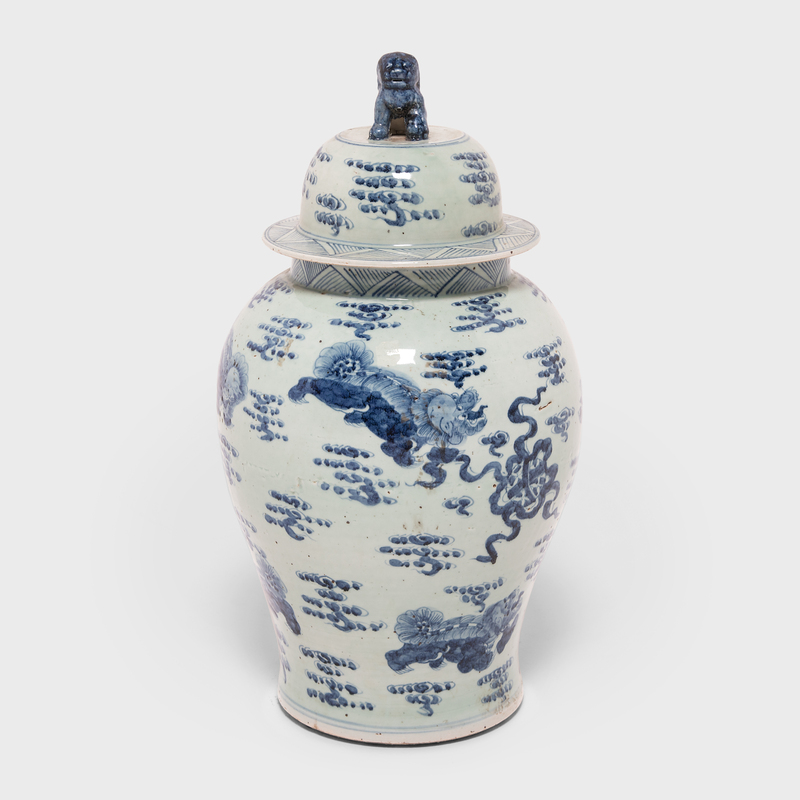 Images of shizi, a lion-dog symbol of power and strength of character, cavort among the stylized clouds of heaven on this hand-painted covered jar. 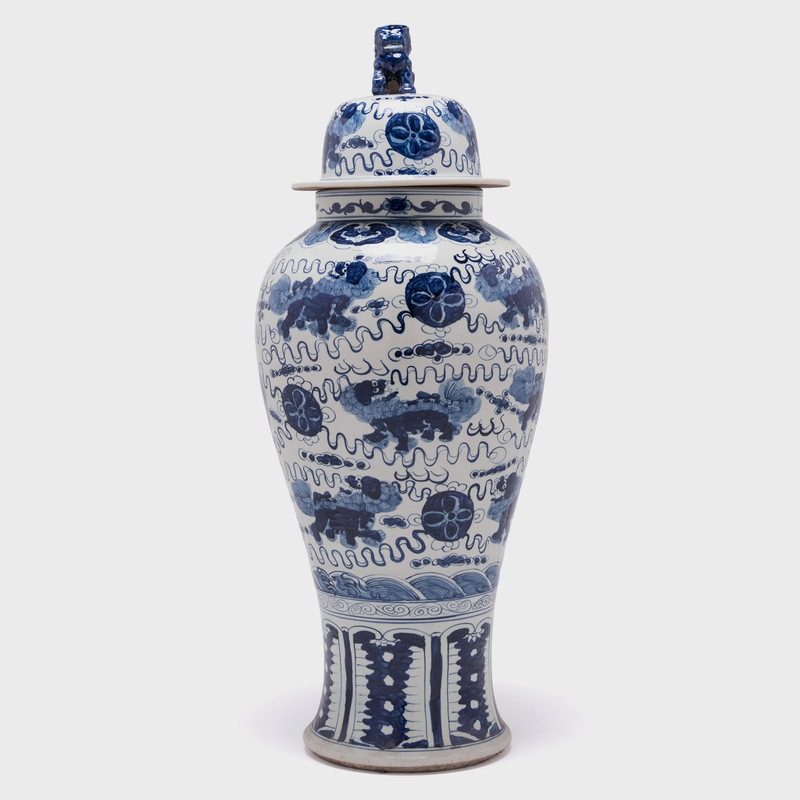 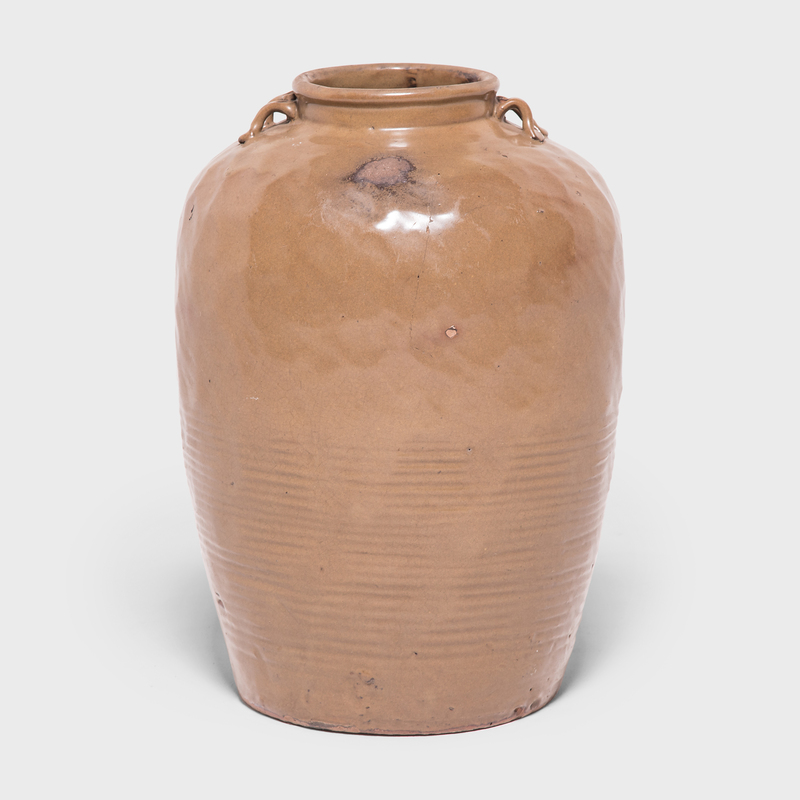 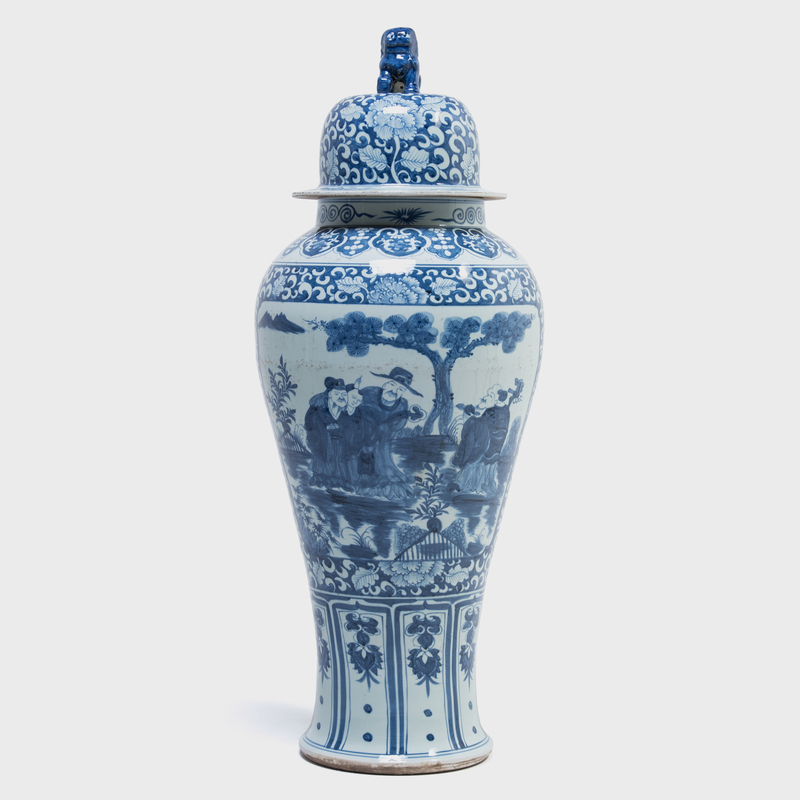 Originally intended for storing spices, this jar is a beautiful example of traditional Chinese blue-and-white porcelain, a style that has inspired ceramists around the world for centuries. 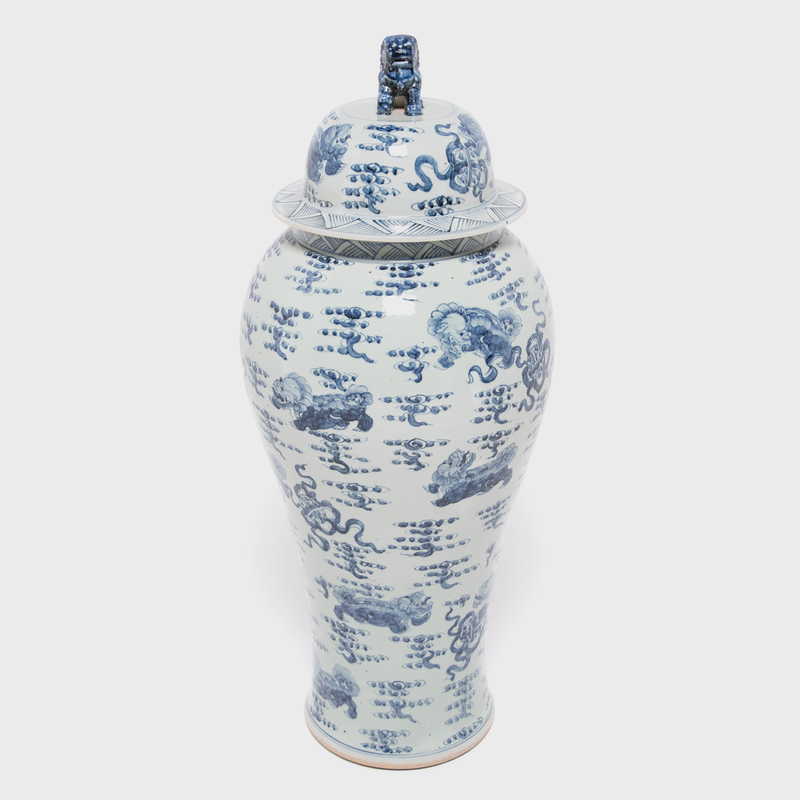 The lid’s shizi-shaped knob reinforces the jar’s theme with delightful impact.